Home » CatDV never forgets, and it’s saving Arsenal FC lots if time and money. With a star-studded squad of players and a brimming trophy cabinet at its 60,000-seat Emirates Stadium in London, Arsenal Football Club is one of the world’s most successful and popular soccer teams – a truly global sporting brand. Lauded for playing a particularly attractive style of football, the team holds the ongoing record for the longest uninterrupted period in the top flight of the English Premiere League, and in 2014 the club was named the fifth most valuable association football club in the world, valued at £1.3 billion. Feeding the appetite of millions of supporters worldwide for all-things-Arsenal, the production unit provides three hours of soccer-based television programming every week, delivered by Arsenal Broadband Ltd, with MP&Silva, This content includes the club’s Premier League, live reserve and academy games, each packaged with Arsenal graphics, plus exclusive interviews with players and staff, footballing news and other themed programming, formatted into two separate 26-minute shows, plus over 100 minutes of match action. 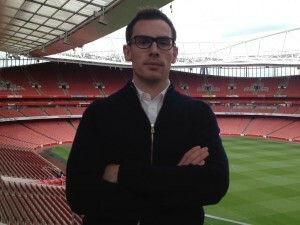 Arsenal Broadband also oversees content delivery to on-demand platforms and online outlets such as Arsenal Player, Facebook, YouTube and iTunes, and produces long-form documentaries, such as The Legends, a DVD and iTunes series release looking back at the stellar careers of Theirry Henry, Dennis Bergkamp and Martin Keown. Along with delivering new content, Arsenal Broadband also holds a large back catalogue of historic games and associated footage dating back over 40 years. The business relies on CatDV’s media asset management system to facilitate a working archive of this entire media for the in-house production team to create fresh programming for the global audience. Equipment-wise, Arsenal Broadband has everything you’d expect of a modern, file-based broadcast channel – pitch-side cameras, a TV studio for commentators and pundits, and Sony ENG camcorder kits for live post-match and other roving reports. All material is ingested into a central server system, which acts as a central library in the main production office at Highbury House, just a stones throw from Emirates Stadium. The production team uses Final Cut Pro as the editing software, and can load materials as required for editorial from the central library using CatDV. “When I joined in 2008, we had a production staff of just two people, a collection of around 10,000 Digi-beta tapes, plus hard drives, knocking around in cupboards, and no media asset management strategy to speak of. At that time we had a very outsourced model, in that we did not produce much content, and bought-in relevant content from external suppliers,” explains Mnych. Mnych says he discovered CatDV during the research period for the proposed overhaul. This involved speaking with London post houses, the BBC Natural History Unit in Bristol, and a week-long visit to NASCAR in Charlotte, North Carolina, whose implementation of CatDV to manage a serious amount of media assets, “made us realise that CatDV was the product for us,” he remarks. Today Arsenal Broadband manages its assets using CatDV Server, a Worker Node to automate file-processing, plus 16 CatDV desktop licenses. 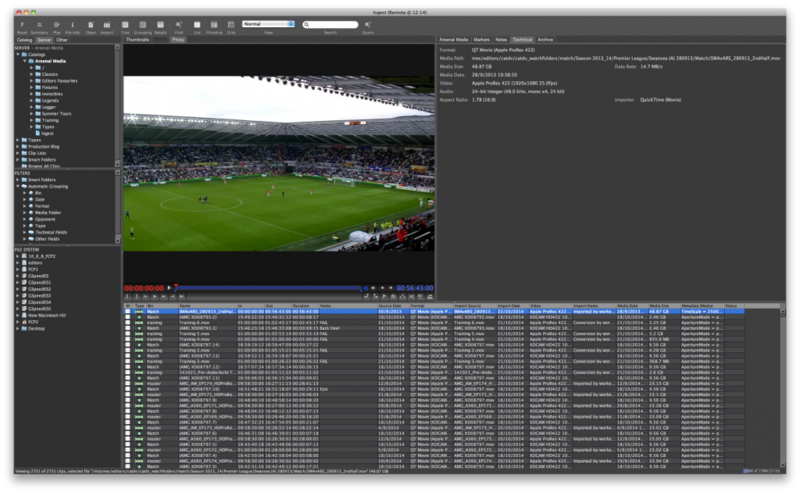 Its CatDV systems are all Mac-based, and are connected to over 330TB of EMC Isilon storage, plus an additional 49 slot LTO library, giving the team – producers, editors and cameraman – full and instant access to the ever-growing volume of media assets. Mnych says a systematic programme of reviewing every library tape, and cherry-picking the best footage from each, helped slim-down the collection to less that 2,500 tapes, and that in excess of 30,000 archive clips have now been carefully logged and tagged using CatDV. All material is ingested via CatDV, which generates and publishes a low-resolution proxy as well as auto-capturing basic image metadata. To enable easy retrieval the native footage is stored in a series of folders and sub-folders pertaining to the date, match, year and competition. Clips include general default metadata – such as date, match, codec, folder, subfolder and competition – with additional metadata, in the form of keywords, added manually – such as player names, free kicks, penalties and goals. 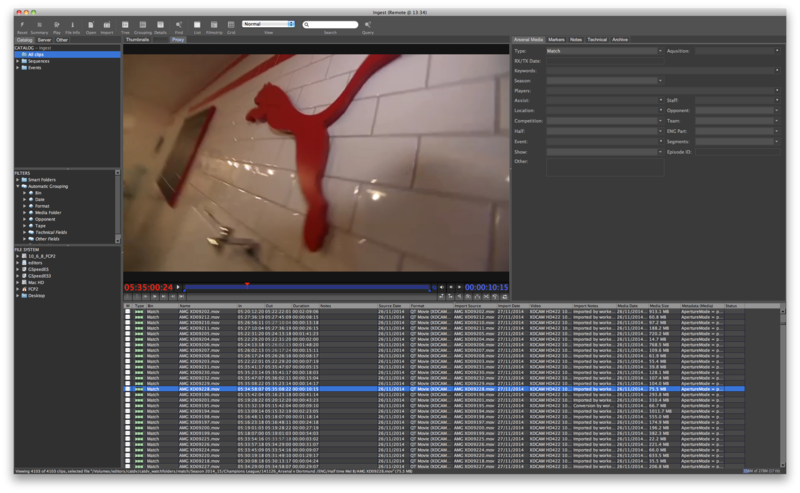 In practice, using the keywords the production team search for materials in CatDV, then scrub through proxy footage and assemble the clips they want into playlists, sometimes performing mini-edits. 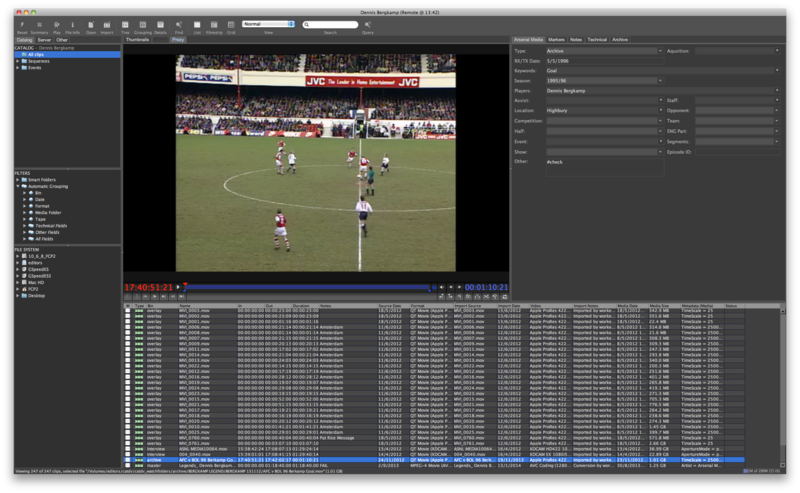 These proxy clips are dragged as required into Final Cut, where the timeline is automatically populated frame-accurately with the original high-resolution media.